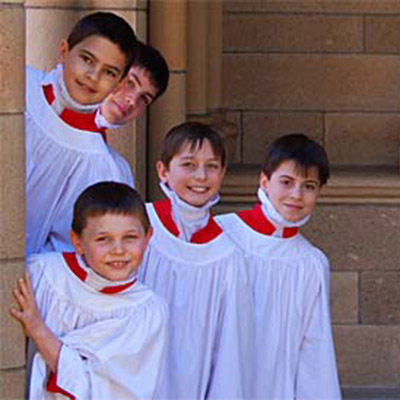 Boys who sing as treble choristers in the choir of St John’s Cathedral receive a half scholarship to the Anglican Church Grammar School (Churchie). We are currently accepting expressions of interest from musical boys aged 7 to 9; the ability to already read music is not essential. Being a Cathedral chorister provides a musical education that is second to none, as boys perform at the highest possible standards each week. Personal qualities of responsibility, concentration and commitment are developed, all within a context of camaraderie and peer support – while having a lot of fun and making new friends! For more information, or to request an informal audition, please contact Director of Music Graeme Morton, or Assistant Director of Music Andrej Kouznetsov. Girls are also invited to express their interest in the choral life of our Cathedral. Periodic events offer the opportunity of rehearsals, participation and performance before family, friends and the wider Cathedral community. 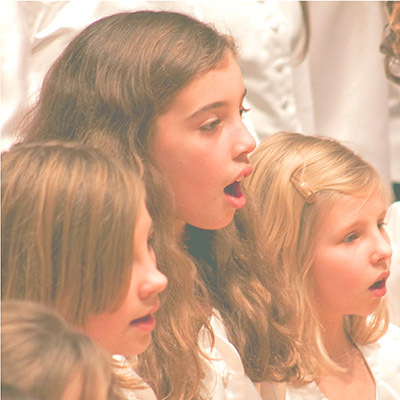 Over the past few decades, many Cathedral choirs around the world have introduced girls’ choirs into their choral programmes. St John’s Cathedral is pleased to follow in these footsteps with the creation of the St John’s Cathedral Girls’ Choir. This ensemble is open to girls who are aged 9 to 14, and rehearses each Sunday morning from 11.00am till 12 noon, during term time. For more information, please contact the Director of the Girls’ Choir, Kathryn Morton.